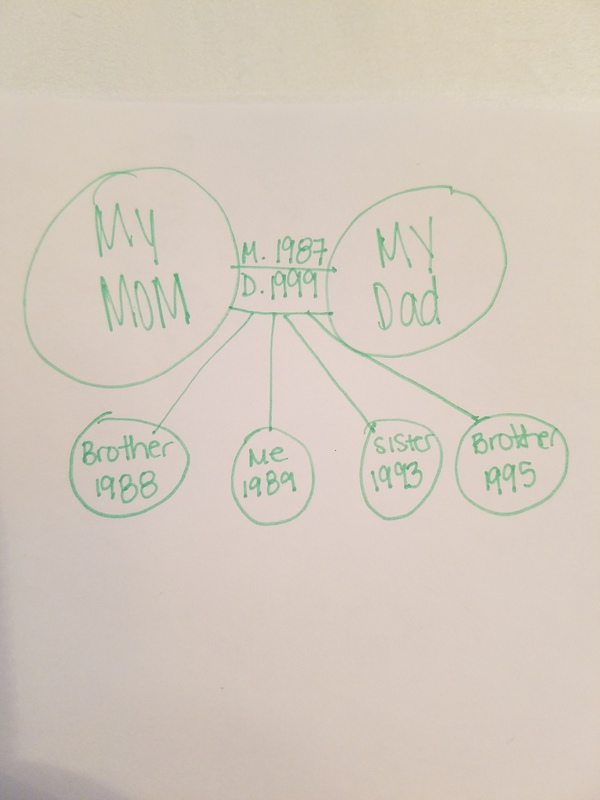 Trying to explain my family tree can be confusing for some people. 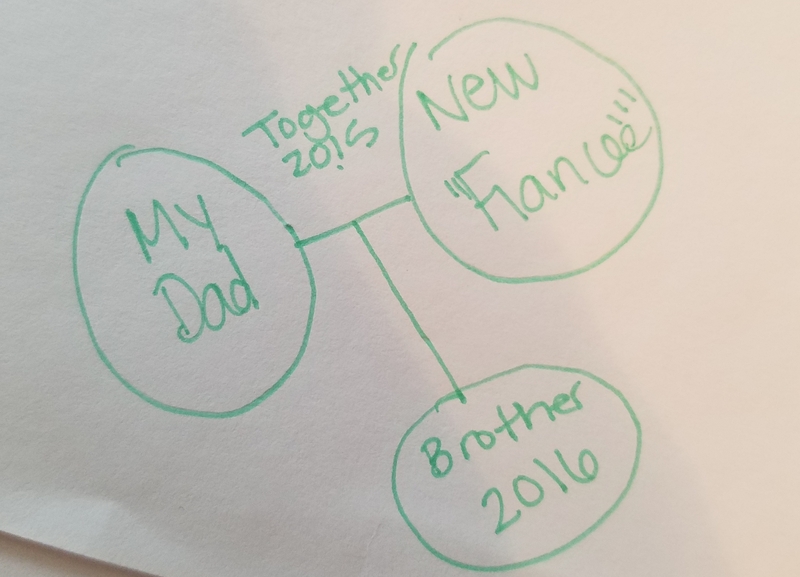 I thought it would be beneficial to make a little family tree. This doesn’t include my entire extended family. Let’s start with my parents. My mom and my dad. My mom and dad were married in 1987. Together they had four children. My older brother, me, my younger sister, and my younger brother. They divorced in 1999. 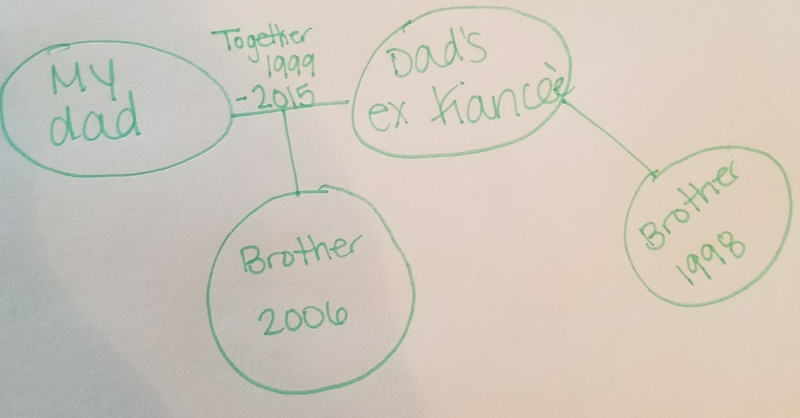 My mom met and remarried to my step dad in 2001. They did not have any children together as my mom had a hysterectomy. 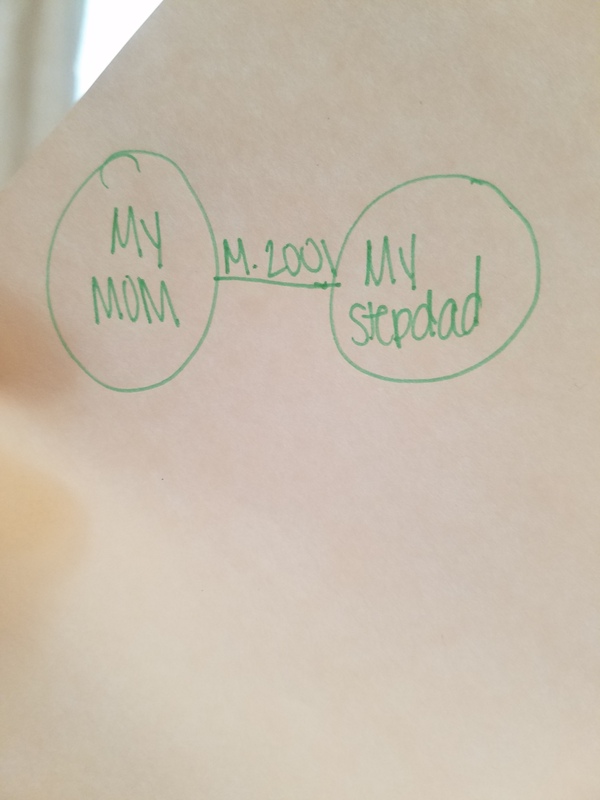 My dad met, whom I referred to as my step mom, though they never did marry. They got together sometime in 1999. She had a son from her previous marriage. I consider him my younger brother. They also had a son together, though he is “technically” my half brother, I don’t see him as half. They broke up for the last time, in 2015. In 2015, my dad started dating someone new. Together they have a son. They are now, recently, “engaged”. My sister has a son who was born in 2013. He is Pickle’ s best friend. I know my family dynamics can be confusing for those who haven’t been present for a long time. 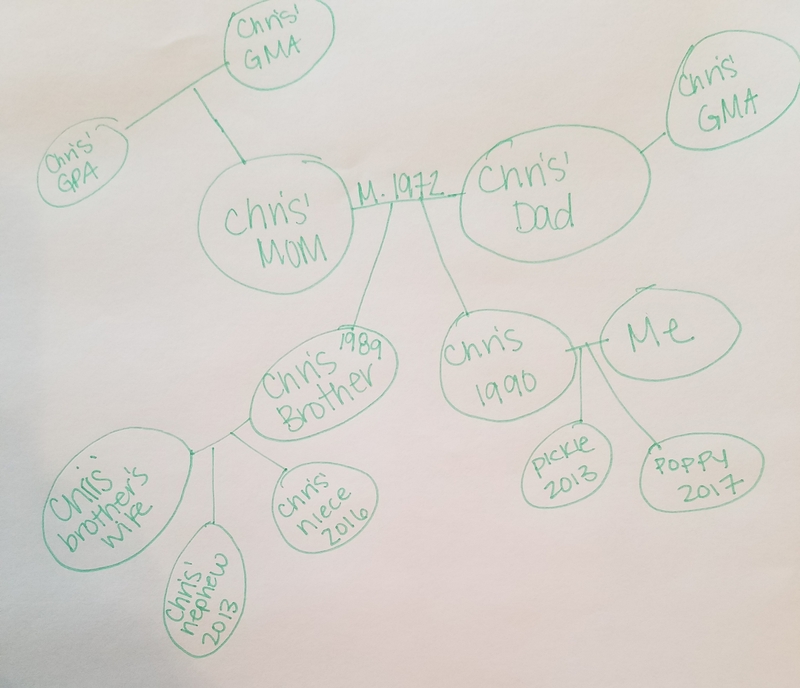 Chris’ family is much easier to explain. Chris’ parents married in 1972. Together they had two children. Chris’ brother and Chris. Chris’ dad’s mother also lives with them as of 2013. Chris’ brother married his wife in 2010. Together they have two children; a boy and a girl. Then, of course, Chris married me in 2012. Together we have two children; Pickle and Poppy. It is crazy how fast and how much a family can grow. It will be interesting to see how much more it grows in the next 5, 10, and 20 years. Chris’s tree is quite neat, yours, not so much, I agree it is very confusing, but at least you have so many people to care for and people who care for you, so that’s nice isn’t it?